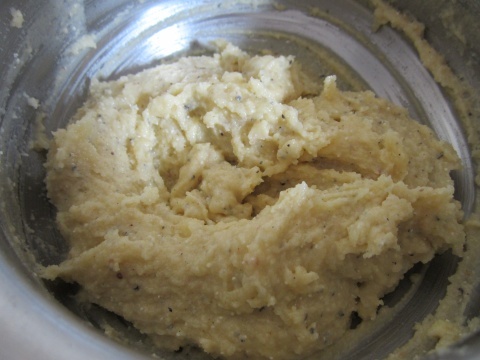 Sieve maida and combine with salt, turmeric powder, ghee and oil in a mixing bowl. 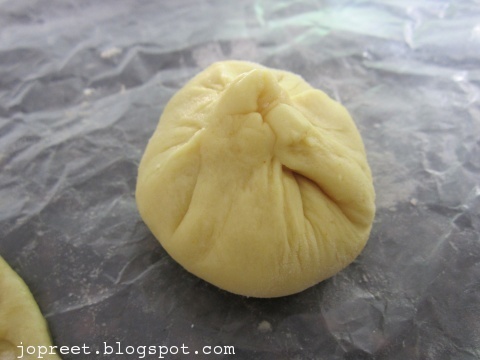 Add enough water and knead to a soft dough. Close and Keep it aside for 1 hour. Prepare the filling by mixing khoya, powdered sugar and cardamom powder in a bowl. Fry maida in a pan for few mins and mix with other ingredients. Mix all well and keep aside. 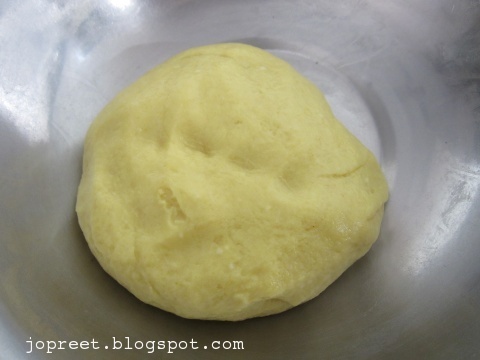 Take the dough and make big lemon sized balls. Take a ball and dust with flour. Roll into thick circle. 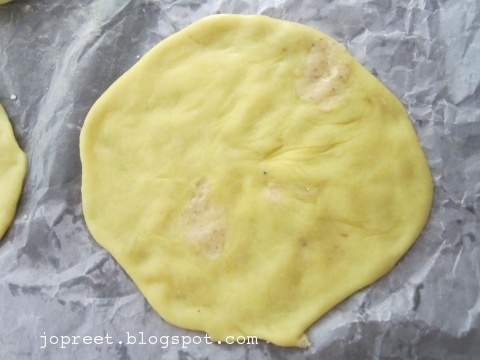 Place a spoon full of khoya mixture in the center of circle and close the edges to seal the filling in. Grease your palm with oil and pat the circle on a plastic sheet or on a banana leaf. Heat pan or tava and grease with oil/ghee. Fry poli as we do to prepare chapathi. Pour little oil around poli and cook on both the sides. Remove from the heat and serve hot. How tasty these polis will be na, loving this polis very much. rich n delicious poli…haven't tried it, good one dear! Koa in poli..hmm, interesting! Looks yum! The stuffing looks so interesting and yummy.. Absolutely love it..
As usual you have come up with something to torture me..I loved this beautiful obbattus..Nice clicks as well Preety. innovative way to use khoya. Gr8 PT. Wow.. these are so tempting! Nice yummy filling, tempting polis..